"Joe is 1 mile away from Park Avenue"
On your way to pickup someone. You want to tell them you're nearly there but you can't take your hands off the wheel? 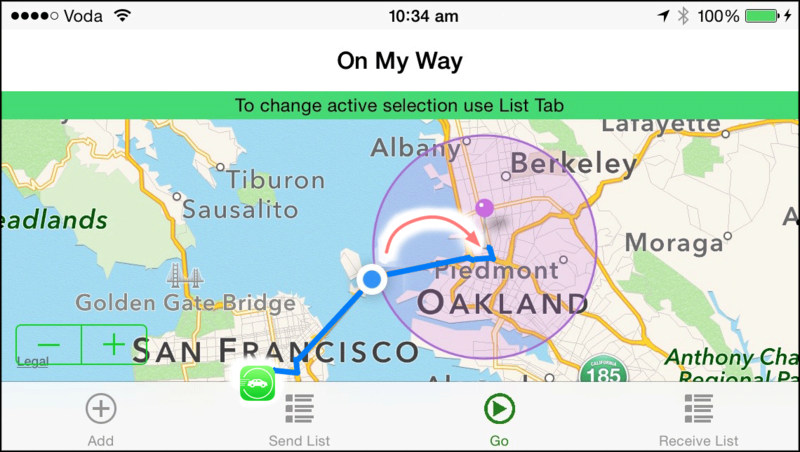 OnMyWay can automatically send a notification to their iPhone. Handsfree operation detects when you are nearly there and sends a message ahead. Can I send messages to users of other smart phones? iOS requires that you confirm your wish to send the message.